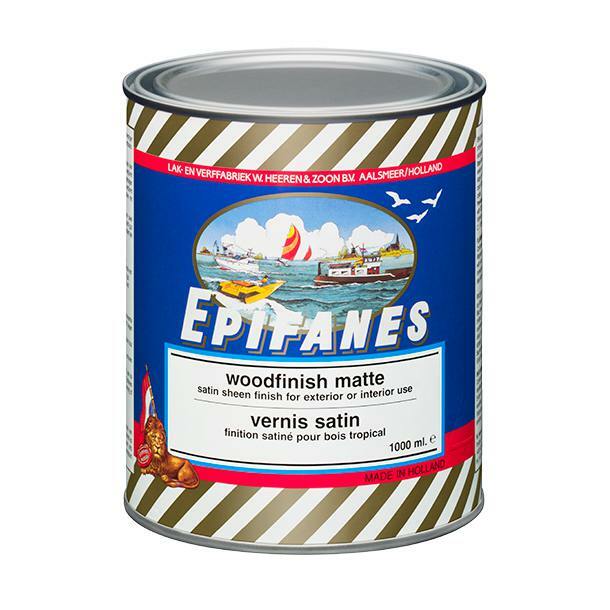 EPIFANES Woodfinish Gloss Varnish is the ultimate alternative without sanding. It is based on phenolic-modified resins and tung oil with microscopic porosity properties. Specifically formulated for oily woods like teak and iroco. 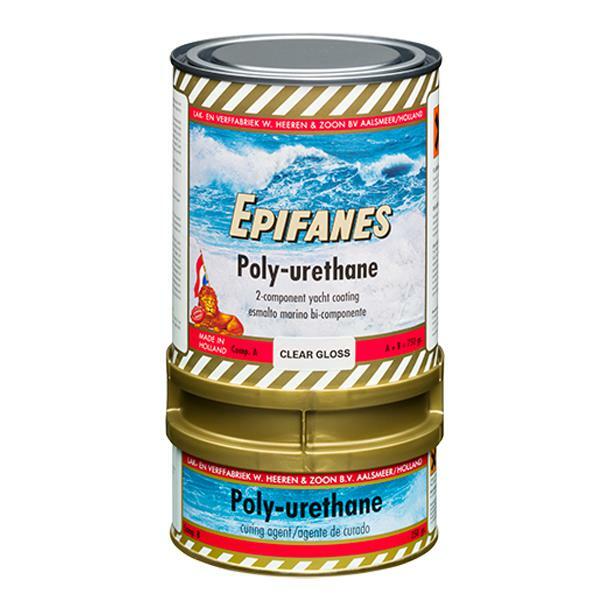 EPIFANES Woodfinish Gloss Varnish has an ultra high gloss finish which is identical in appearance to EPIFANES Clear High Gloss Varnish. Its colour is amber. One of its outstanding characteristics is its ability to build up coats quickly without sanding. No sanding is required if re-coating is within 72 hours. 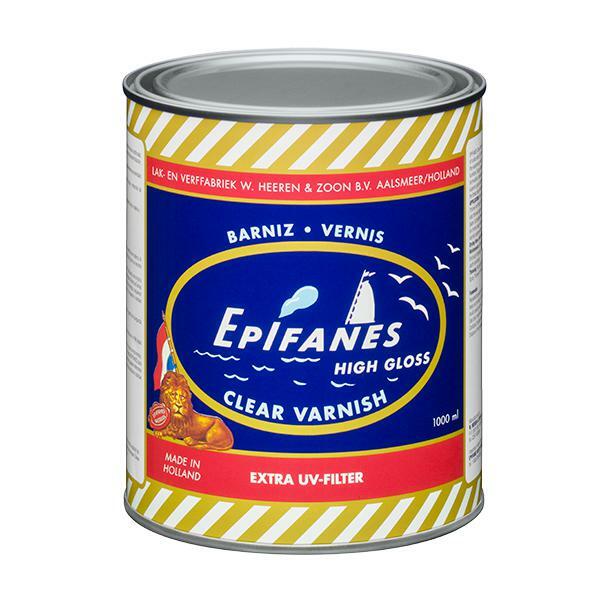 EPIFANES Woodfinish Gloss Varnish has excellent flow, gloss and durability and offers great flexibility and water resistance in all weather conditions. So, when its a deep high gloss finish with excellent U.V. protection and no sanding in between coats that you are looking for, EPIFANES Woodfinish Gloss Varnish is the perfect choice. PRODUCT DESCRIPTION : A clear, high gloss varnish-like finish, based on alkyd & phenolic resins. Excellent adhesion to degreased & sanded new teak & other exotic woods. For use where a glossy, varnished look is desired. Its microscopic porosity allows the wood to breathe. The UV filter protects the wood against discoloration. Water & weather resistant & excellent outdoor durability. Sanding between coats is not required if the next coat is applied within 72 hours.FIELD OF USE : To be used on solid teak wood, iroco, oak, mahogany & meranti or as an alternative for continuous maintenance of wood oil systems. 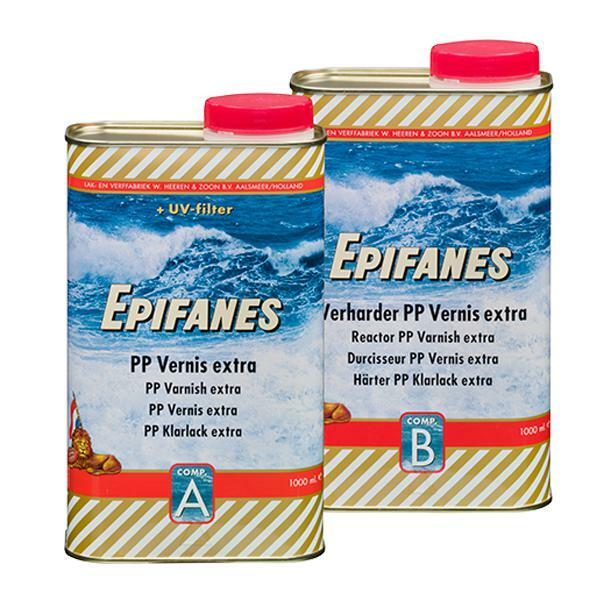 For interior & exterior work above the waterline in both fresh & salt water environments. When applied on non-oily wood that does not need to “breathe” a minimum of 8-10 coats is required. Not suited on bankirai. RECOATABILITY : After 24 hours at 18 degrees celcius. COVERAGE : 1000ml is sufficient for 12 square metres / 130 square feet @ 35 um dry filmthickness.